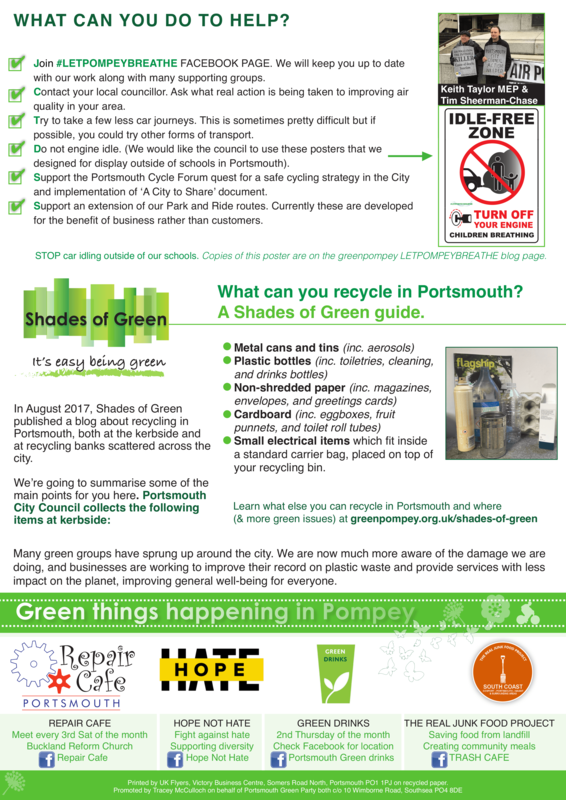 We have started distributing our latest newsletter detailing our activity in the local area. 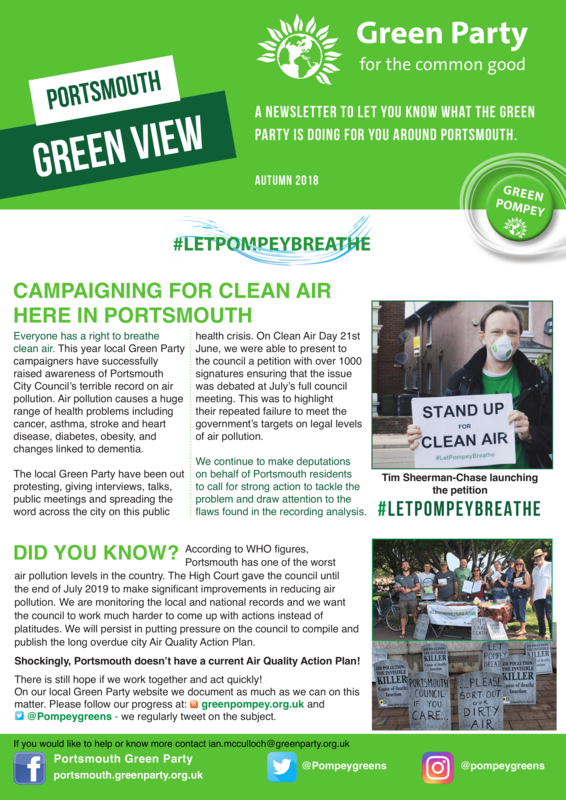 For regular updates of the Portsmouth Green Party's work, sign up, find us on Facebook, or follow us on Twitter and Instagram! 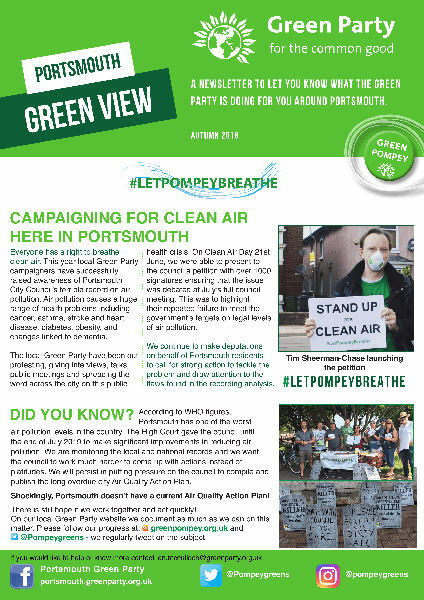 Published and promoted by Tracey McCulloch for Portsmouth Green Party, both at 10 Wimborne Road, Southsea PO4 8DE.